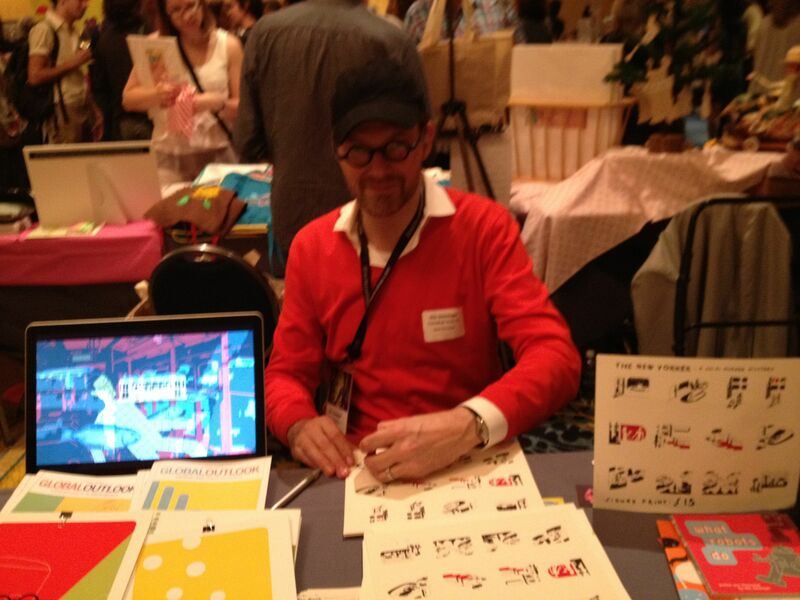 ICON7 in Providence, Rhode Island started out with a blast! 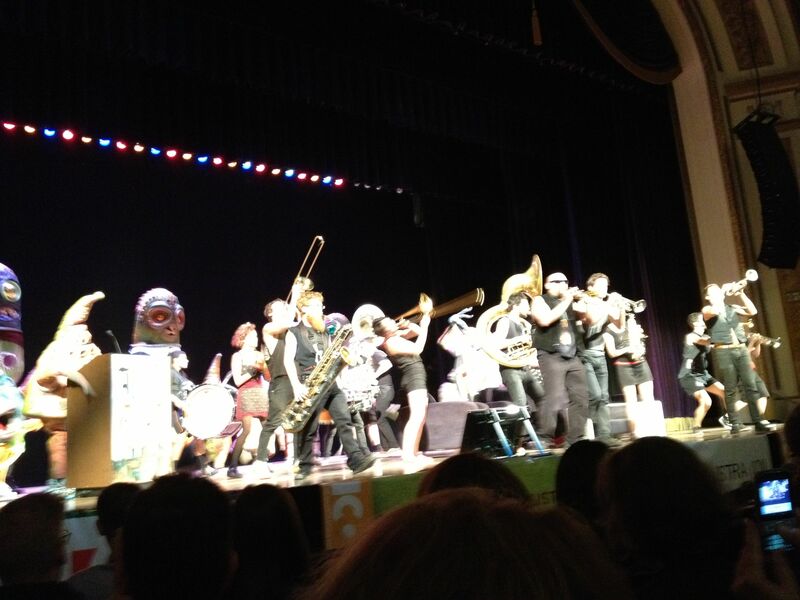 RISD’s New Orlean’s style band came out with some great sounds to kick off the conference. I met up with my good friend Julie Lieberman from SCAD and Marshall Arisman for some great conversation about the industry. Later in the day Marshall and David Porter from RISD had a very stimulating debate, “To MFA or Not to MFA”. What were your thoughts? The Rhode Show Bazaar Marketplace was packed with visitors checking out all of the wonderful work. 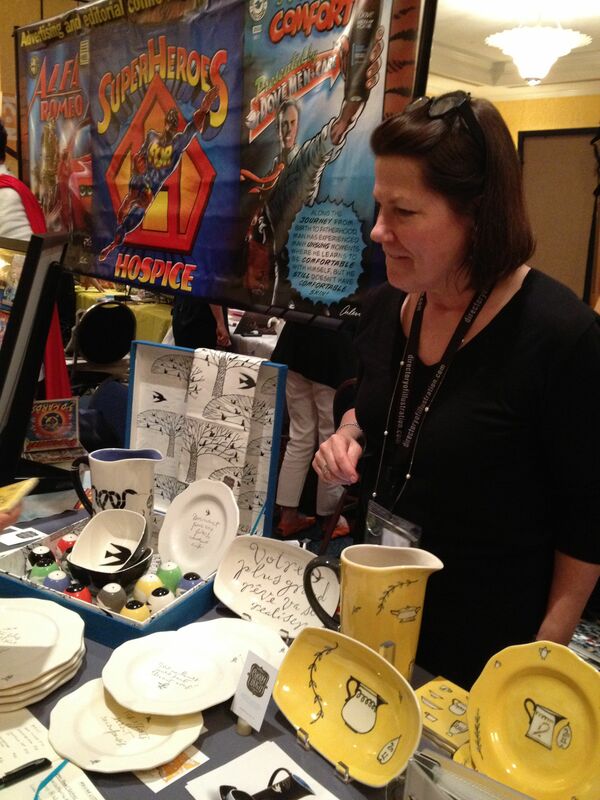 Whitney Sherman is displaying her limited line of dishware. 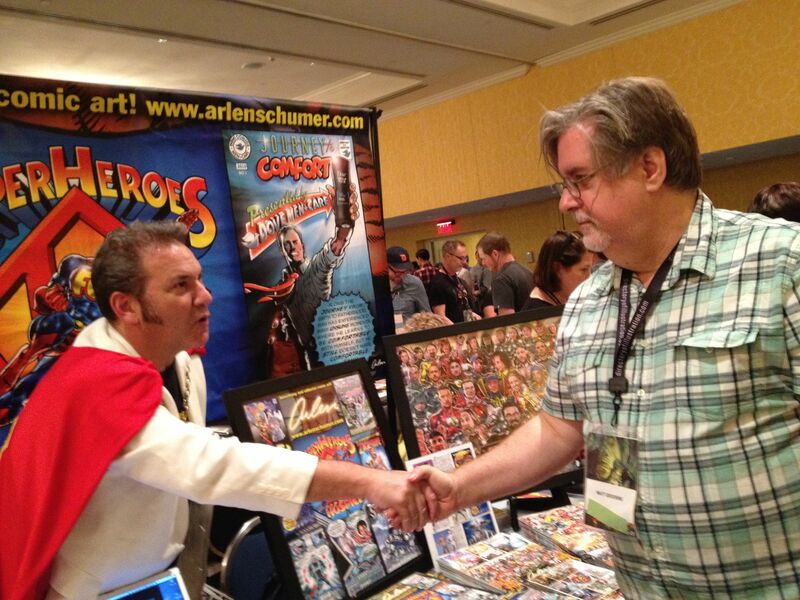 Arlen Schumer, king of comic book art, meets another legend and Arlen’s idol Matt Groening. Otto Steininger signs his beautiful prints of his iconic images. 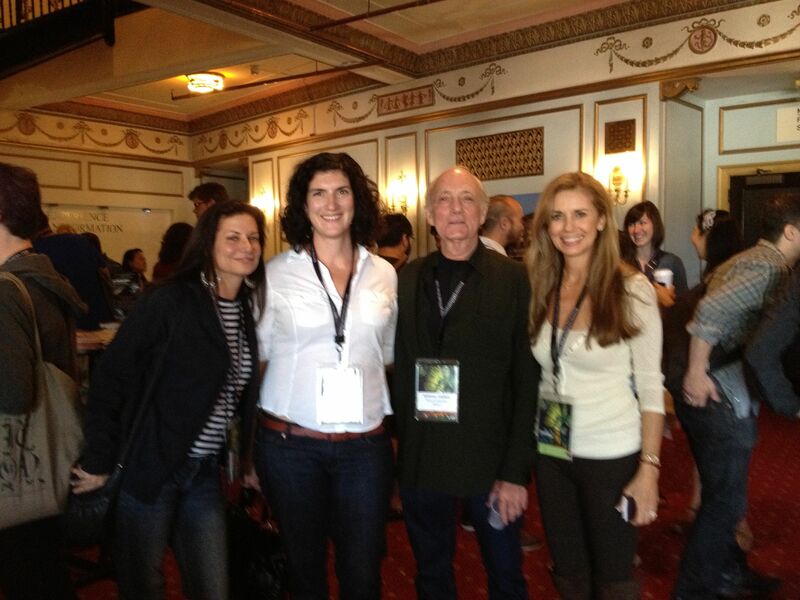 Julie is pleased to meet Mr. Furturama himself. 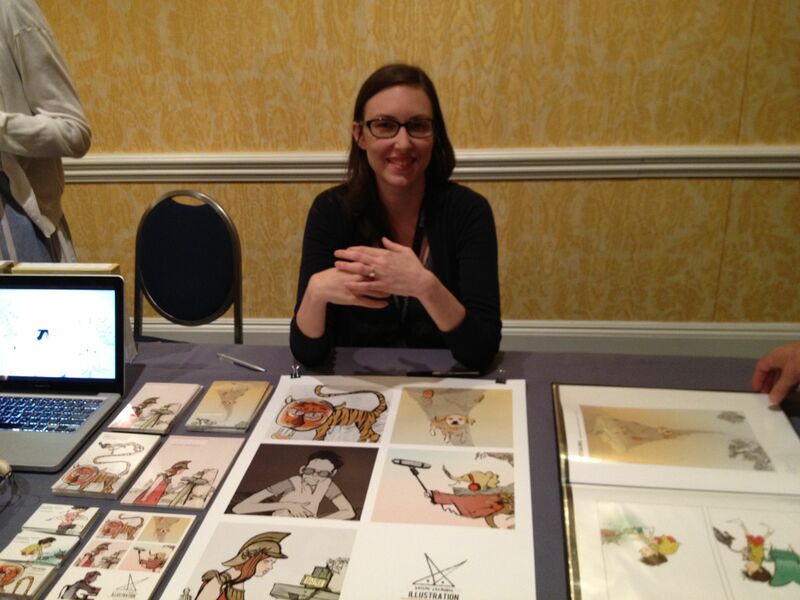 Illustrator and member on Altpick.com Kristy Caldwell! There were a lot of reasons to be at ICON, but this topped it off! 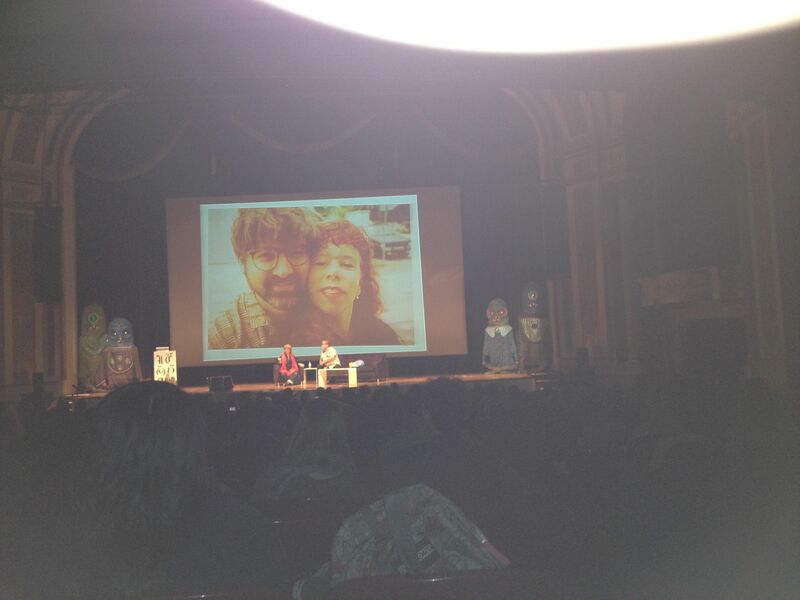 Lynda Barry and Matt Groening talking. Yes, just talking on stage about their friendship, life and art. It was an inspiration and a huge motivation to always push the envelope. All of these photos are blurry 🙂 but you get the idea! 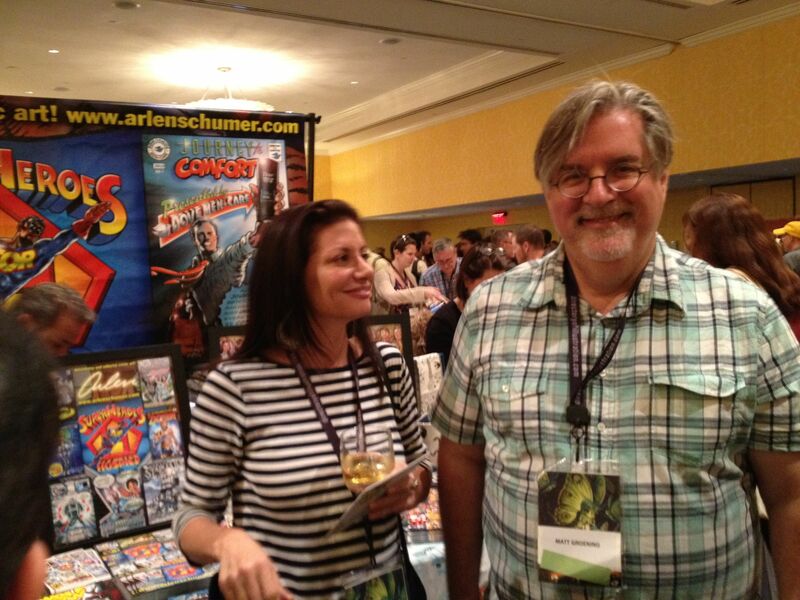 See you at ICON8 – 2014! This entry was posted in Altpick, Art, Event, Illustrations and tagged icon7, Illustration Conference. Bookmark the permalink.